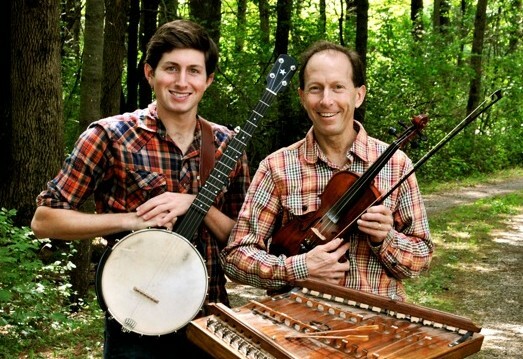 Join us for an evening of lively yet subtly crafted traditional and original Appalachian folk music performed by Ken & Brad Kolodner, a nationally-acclaimed father-son duo from Baltimore, MD. 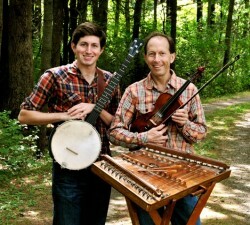 Ken is a world-class hammered dulcimer player and old-time fiddler who recently joined forces with his son, Brad, a rising star in the old-time music community. 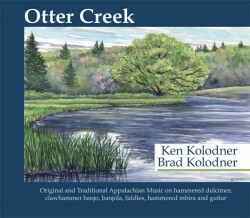 Brad is a contest-winning clawhammer banjo player who also plays fiddle, guitar, gourd banjo and sings.